** Atkins Diet Guide App ** Atkins diet is worlds healthiest diet, which help you to loss weight without being hungry with low carb diet plans. App contains tons of video tutorials and expert guide and tips to help you out. * Atkins Diet How To Videos! * Atkins Diet Plans Videos! * Special video guide Low Carb Diet for WOMENS! * Atkins Diet Lose Weight Pain Free How To Videos! * Atkins Diet Recipes How To Videos! * Healthy Atkins Meal & Snacks Recipes How to make them! that will make your day! * Workouts video to follow when you are on Atkins Diet! * Atkins Diet Tips, to lose weight and become healthy * The good and bad things you should know about the Atkins Diet before to start! * App will allow you to favorite your videos inside app. Get this very informative atkins diet app today. Finally a well thought application to manage your life and diabetic needs all in one! Forget about having a different applications to record your insulin levels, exercise, food, medicine etc... We developed this app thinking of every last detail; based on experience! Now you can record, chart and keep track for future reference of all your lifestyle's information! Some of the main features include: •Calendar based: Option to see all of your records based on a specific date! •Weight record: You can record your weight and it automatically calculates your BMI. Also, it records the date and time you entered it for future graph or reference! •Activity log: Select from a wide range of exercise activities raging from golf to jogging or yoga. Enter the duration and any notes you would like to include and it will automatically calculate your calories burnt! This, like all of the other options, will record the date and time for future reference and statistics. •Blood pressure records: Every day you can enter your systolic, diastolic and heart rate numbers. This, as you know, can be of great help when looking after your health. •Water intake: It is well known that water intake helps greatly reduce sugar levels; now you can record, chart and have for future reference your water intake with a super easy to use interface! •Food records: Every time you eat something you can easily record it. It is categorized into: -Fruits and vegetables -Snacks and sweets -Sports -Drinks -Seeds and grains Each one of these categories can be filled with foods of your choice and include the following data: *Carbs *Calories *Protein *Fat *Saturated fat *Sugars *Fiber *Cholesterol *Sodium With all of this information in the log it will then automatically chart and save your nutrition for the future! •Glucose recording:The most important record to see if your lifestyle is helping you maintain healthy! Record the number, time and period (out of bed, after breakfast, before dinner, after snack etc...) •Medication: To make this app even more complete; here you can record the medication, amount and time you took it for excellent record keeping! •Customize: this app can be perfect for anyone! You can select: ~Measuring units for glucose and weight ~Initial weight and height to accurately calculate BMI ~Daily water budget, how much fits into you personal glass and how many you need to drink ~Password enabling! These are just some of the features; but we guarantee you will not find a more complete way to manage your lifestyle out there! Furthermore, all tech information, graphs and results and be automatically shared to your doctor or loved ones in just one easy tap! 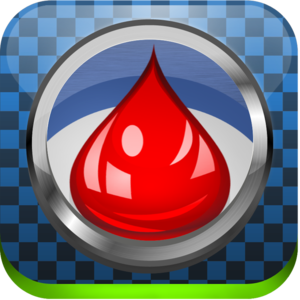 Blood Sugar Diabetes Control HD – G.P. Imports, Inc. Finally an easy way to record and keep track of all your diabetic information needs! Diabetes is a chronic disease triggered by high levels of sugar in the blood. Fortunately, because of recent research most types can now be controlled in different ways. In order to control the disease, diabetics need to constantly check their lifestyle. It gets very complicated to keep track of all the food, exercise and medicine intake; that is why we created this amazing new application! Some of the main features include: -Being able to record your glucose level as often as you need during the day. This application makes it in a very user friendly way; every recording you can add the date and time it was taken. The level of sugar is written in mg/dL, and it can be categorized in the NOTE section depending on the moment of the day it was taken. -Glucose levels get charted automatically. -Note down your food intake and exercise, helping you understand why the levels of glucose shifted. -You are able to include your medication intake. This may help you analyze and also keep track. Unlike other applications, here you can select exactly the brand and amount you took for future reference. -You can annotate your physician recommendations as well as the targets you wish to accomplish; keeping all the information together and simpler to handle. -Unlike other applications, the graph can be set for as many days as you want; you can analyze one specific day or the whole month at once. 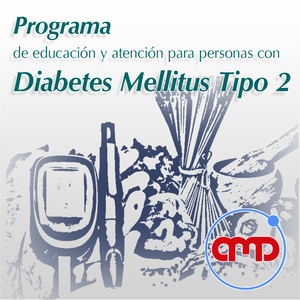 -Diabetes unfortunately affects thousands of people; with this application you can share questions and comments with other users and experts in a special forum with just a click of a button. Diabetes shouldn’t be a life threatening disease; in most cases it can be controlled with the right monitoring and lifestyle. We are trying to help this cause with this application! We hope we can help you track your lifestyle in order to lead a healthier life, even with diabetes! We are constantly working on future versions, please share with us any comments or suggestions you may have! Disclaimer: This application is not intended to substitute for informed professional, medical, psychiatric, psychological or other professional advice, and we are not liable for any personal harm or injury sustained while using this software. 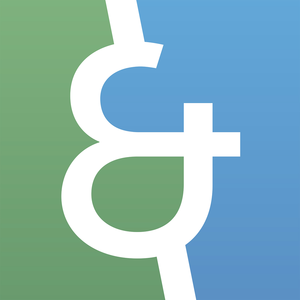 Your use of this application and forum indicates your agreement to these terms. Do you watch your carbohydrates, but always need to calculate which products and in what sizes can be eaten? Does it get tiresome at times? No more! Bread unit points help to easily compare very different food types regardless of their weight and are therefore ideal for making quick decisions on what is recommendable to eat. Bread units (BU’s) were originally developed for diabetics, but they will help anyone interested in a quick way to determine low-carb food choices and greatly simplify the process of comparing carbs across food choices! 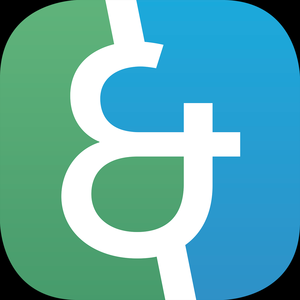 » Bread units are calculated like this: 1 Bread Unit (BU) = 12 g of carbohydrates This app’s list assists in calculating BU’s for a wide range of foods which you may not have the data for at hand (basic food & produce, supermarket products as well as restaurant menu items). ≡ HOW IT IS DONE ≡ A BU table is used for food comparison and product substitution. Example: 160 g of fresh strawberries and 25 g of French fries from a large fast food company (roughly half the size of a small portion) contain the exact same amount of carbohydrates, that is 12 g or exactly 1 bread unit (BU). The current scientific recommendation for low-carb diets is to consume 6-8 BU’s per day (= 72-96 g of carbohydrates). Using bread units, you now have a great way to compare two completely different types of food to each other and measure the impact that different serving sizes have on your diet since both choices will subtract exactly 1 BU from your daily limit. ≡ MORE CHOICE = BETTER TASTE ≡ With this BU calculator, choice and variety for diabetics increases greatly without much of the usual effort at tabulating data. Portions / Serving sizes for individual foods can be adjusted and the app immediately re-calculates the correct BU values. Additional calorie info is provided if energy consumption is important to you. 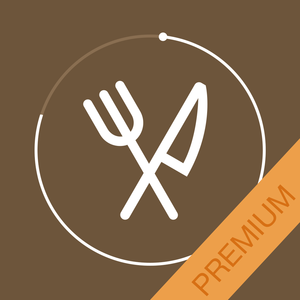 The app contains a filter system which helps to find foods with a "perfect fit": Simply define lower / upper limits and it will return matching products. For example, this helps to find all items with less than 0.5 BU’s if that is all you have left for your day. Discover food choices you never knew you had, increase variety and prepare meals depending on mood, liking and personal taste again! All food data is given for 100 g, but for an increasing number of items (like restaurant menus) exact portion sizes are already available. If you want to know more about BU’s and the medical background, have a look at the book “Life without bread” by Christian Allan (Ph.D.) & Wolfgang Lutz (M.D.). CarbsControl – Carb Counter, Carbs Tracker, Nutrition tracker for Diabetes and Low Carb Diets – iPad Version – Coheso, Inc.
Este es un curso que te enseña a mejorar tu calidad de vida cuando tú o alguien de tu familia ha sido diagnosticado con Diabetes tipo 2, así como los consejos para un estilo de vida saludable para prevenir esta enfermedad. This is the app you are looking for if you are a dieter or who want to control your diabetes or weight! You can set your carb budget and track your daily nutrition intake of the food, carbs, fiber, fat etc, and also track quantity of water intake, readings of your glucose, HbA1c, blood pressure, heart rate, weight, exercise, medications and insulin, you can share the readings with your doctors in form of CSV, HTML or PDF by email. Key Features: Food: ⁃ Create your carb budget and track it. ⁃ Track your food logs includes daily nutrition intake, such as carbs, fiber, calories etc. ⁃ Huge default food database from restaurant, common foods and supermarket. 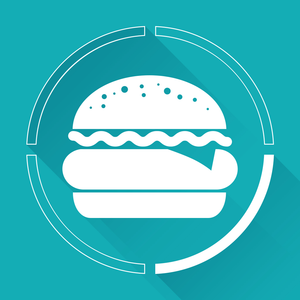 ⁃ Add your custom food or your recipes. ⁃ Add food to Favorites. 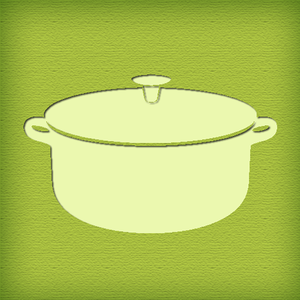 ⁃ Search food database. ⁃ Report your carbs intake. Exercises: ⁃ Log the date, duration, exercise name, intensity of exercises and add note to it. ⁃ Hundreds of default common exercises for you to chose. ⁃ Customize and save your own exercises. ⁃ Save your favorites exercise. ⁃ Search exercise by name. ⁃ Show your actual exercise time and average exercise duration by chart. Weight: ⁃ Track your weight logs. ⁃ Add note to each reading. ⁃ Calculate BMI of each reading automatically. ⁃ Show weight change compared with last weight. ⁃ Report weight and BMI logs by chart. Glucose & Insulin Calculator: ⁃ Log your glucose and HbA1c logs. ⁃ Add note to each reading. ⁃ Use insulin Calculator to calculate the recommend dosage of insulin injected. ⁃ Analyze glucose level by chart. ⁃ Show the statistics info of four glucose segments. ⁃ Calculate average glucose level of different periods. Blood Pressure: ⁃ Log your blood Pressure and heart rate. ⁃ Add note to each reading. ⁃ Calculate your MAP of each reading. ⁃ Analyze BP and heart rate level by chart. ⁃ Show Max, Min and Avg number of BP, Heart rate and MAP. ⁃ Show percentage and number of BP in different levels. Water: ⁃ Log your daily quantity of water intake. ⁃ Show your target, actual and average glasses of water intake by chart. ⁃ Show number of glasses of water intake in Water’s icon. ⁃ Report your water intake. 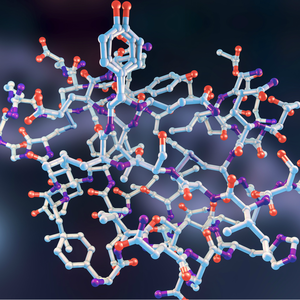 Lipid Panel: ⁃ Log your Cholesterol, Triglycerides, HDL and LDL. ⁃ Add note to reading. Medications: ⁃ Log your medication intake. ⁃ Log medication intake time, dosage, and add note to it. ⁃ Manage your medications’ route, unit, side effects, icon and other info. 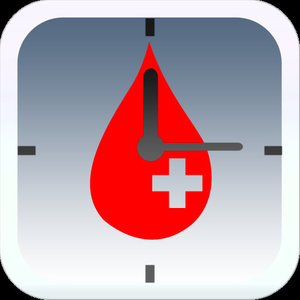 Reminders: ⁃ Create unlimited reminders to alert you measure your blood pressure or glucose, drinking water, visiting doctor, doing exercise or anything else you would like. ⁃ Create reminder text of each reminder. ⁃ Set time, repeat frequency, and icon for the reminders. ⁃ Ten default reminder sounds and you can set your own. ⁃ Set if reminder is ON or OFF. Others: ⁃ Calendar overview of your data. ⁃ Password protection. ⁃ Supports Touch ID passcode. ⁃ Supports WiFi Backup & Restore. ⁃ Supports Dropbox backup & restore. ⁃ Manage your personal info and set color ranges for your glucose and blood pressure. ⁃ Email your readings to your doctors in form of CSV, HTML or PDF. ⁃ Badges to show your consumed/remaining net carbs and water intake. ⁃ Supports AirPrint. For the insulin calculation function, it is based this formula: Insulin dosage= (Blood Sugar – Goal Blood Sugar) / Correction Factor + Carbohydrate / Carbohydrate Factor Please do consult your physician before using it to check if the formula is suitable for you, and ask for your personal Correction Factor, Carbohydrate Factor, Goal Blood Sugar from him/her, and please take note of the unit (mg/dL or mmol/L). The user assumes all responsibility for the numbers inputted and the result. If you have any questions or suggestion, please mail to maxwellsoftware@gmail.com. The need for a healthy diet is growing and growing. This is particularly the case for people diagnosed with Diabetes, who face a culinary challenge every single day. Eating in a conscious, healthy manner is demanding when it comes to inspiration, knowledge and creativity. This 3rd edition of the Diabetes Cookbook+ offers you forty new, delicious and healthy recipes. 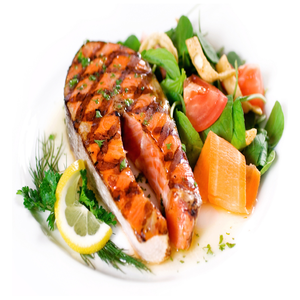 Even when you’re not in the mood to cook or on a tight timeschedule, this app ensures you receive the right nutrition. The Diabetes Cookbook+ is the sensible inspiration you’ve been looking for. 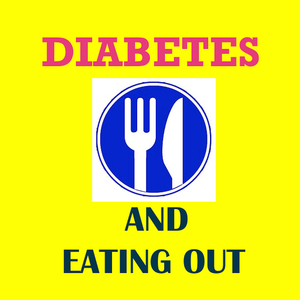 This Diabetes Cookbook+ is the 3rd in a series on diabetes cooking. You can browse through the recipes one by one or use one of the filters to quickly select recipes that are fast, vegetarian or less spicy. Use the cooking mode which presents all the information you need at a glance, so touching the iPad while cooking is reduced to a minimum. The timers will help you set the right baking or cooking time. Why is this a cookbook PLUS? Every recipe shows its nutritional value. The Diabetes Cookbook+ also provides a lot of additional information on how to cook for and cope with diabetes. You can also add notes to your recipes and mail a grocery shopping list to your phone. Features - 40 inspirational & healthy recipes - NEW: Twitter page that offers you the latest Diabetes news - Tips and tricks about the recipes and ingredients - High resolution quality photographs in landscape and portrait mode - Quick access to your favourite recipes through the menu - An instruction mode with an integrated clock; the clock works independently so you can set several clocks corresponding to the recipes you’re working on - Email option for grocery shopping - Make notes if you have your own twist to a recipe and don't want to forget it. Lots of Apps can help you track your carb intake, but can they also suggest what to eat for breakfast, lunch or dinner to meet your daily carb intake goals? Can they tell you what your best or worst carb cravings are? ... Now that is convenient and insightful! ** Introducing Apple Watch edition – View and select the right foods for breakfast, lunch, snacks and dinner that fits your daily Carbohydrate (Carb) intake goal. ** -A sleek glance interface indicates daily carb intake status -Get reminders for pills, doctor's appointments and food tracking -An intuitive interface to select and record different meals of the day right from your iPhone or iPad or Apple Watch. 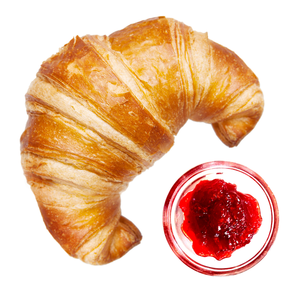 Watching your carbohydrate (carb) intake is one of the key ways to manage diabetes. +++ Find Carbohydrate Content in 10,000 foods in built database. Source: USDA +++ 1. "Diabetes Cravings" ensures that you meet your daily Carb intake goals every day. It does this by analyzing your food habit and then by selecting and presenting the right breakfast, lunch, dinner and snack choices from within your list of foods, which will help you, meet your daily Carb intake goal. 2. Rapidly personalize this App using in-built food database (Source: USDA) and an integrated web search. 3. Gain insight into your food habit like never before – best and worst cravings, ideal Carb intake allocations for breakfast, lunch, dinner and snacks. 4. Plan your day ahead around your cocktail party or a heavy lunch by restricting your Carb intake intake during other meals of the day. 5. Share your success with Facebook and Twitter, pin your Cravings with Pinterest and share their picture via Instagram! 6. Eliminate the wrong cravings and enjoy the right ones! When Cravings hit, turn to this app for instant feedback on what it means for your health and fitness. You can easily find out what it means to eat a cheesecake or an ice cream after lunch or that extra glass of wine in the afternoon. It lets you find out what choices you then have for dinner or may suggest an alternate craving that will help you meet your daily Carb intake goals. 7. The App now hosts an embedded food database based on United States Department of Agriculture’s Nutrition database, which contains around 10,000 foods. The App also provides the ability to perform an integrated Web search on foods which extends this database to potentially any types and kinds of food and in any language. All of this is meant to enable users to quickly and accurately set up this App for their own personal use. “Diabetes Cravings” is an innovative App that serves as a personal health companion to users who desire to maintain a healthy lifestyle. Unlike other Carb intake tracking apps where users need to constantly count Carb intakes and worry about exceeding their Carb intake goals, Cravings makes it easier for users by making meaningful suggestions for Breakfast, Lunch, Dinner and Snacks based on users’ food list that ensures that they remain within their Carb intake budget. This App has built in smarts to adapt itself to user’s food habit and generate insightful statistics on their best and worst food cravings, their Carb intake allocations towards breakfast, lunch, dinner and snacks on days they have successfully met their Carb intake goals and on days that they have not. Based on these insights users can fine-tune this App to provide better food choices which ensures that they continue to succeed in meeting their daily Carb intake. Be kind to yourself, manage your Cravings, and take this small step towards understanding your food habits and a giant step towards a healthier and delectable life.